Rose Cafe is a long-standing brunch destination in Venice. With its patio seating, brunch fares, bakery, and an awesome gift shop, it was (still is) the quintessential brunch in Venice, bustling with families and joggers alike. I used to go all the time back when I was at UCLA. An off experience one day and moving to Pasadena kept me away from this place for a while. But then I came back. 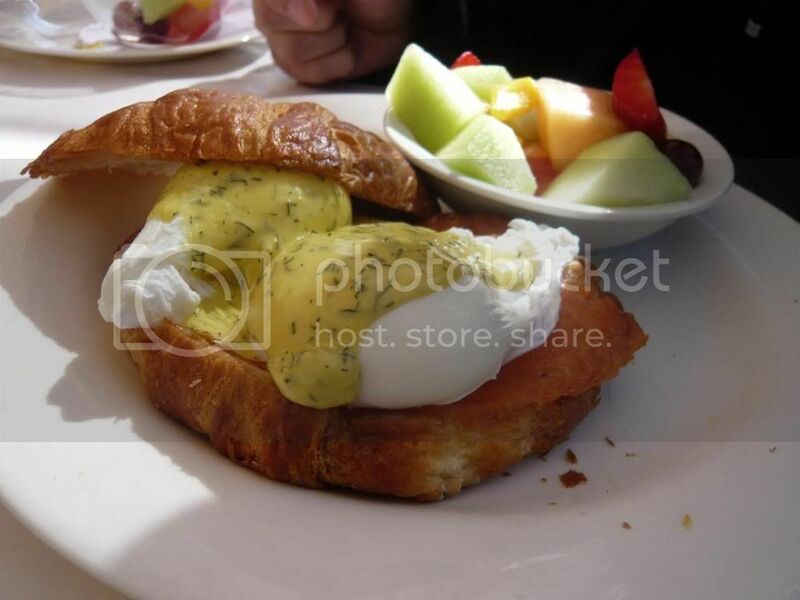 Rose Cafe offers classical brunch fares - eggs and the like, entrees from the kitchen such as seared tuna salad, and a variety of deli items. 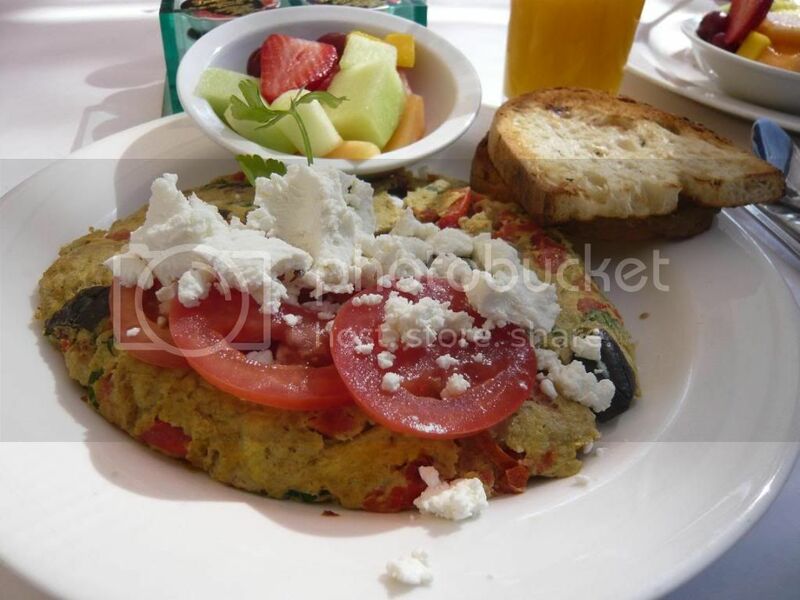 Generous portions and healthy, the food here is still very solid with good ingredients. Another classic brunch fare. The amount of lox in this dish is lacking - wonder if they've cut back due to the recession :/ It's otherwise very good with flakey buttery croissant. Just ... more lox, please. Rose Cafe has a large selection of pastries and baked goods that you can either have there or take to go. It's hard not to when you're passing the gorgeous display case on your way out. I often get their apple tart tatin. As I ate it at home that night, I was reminded again of how much I liked Rose Cafe. 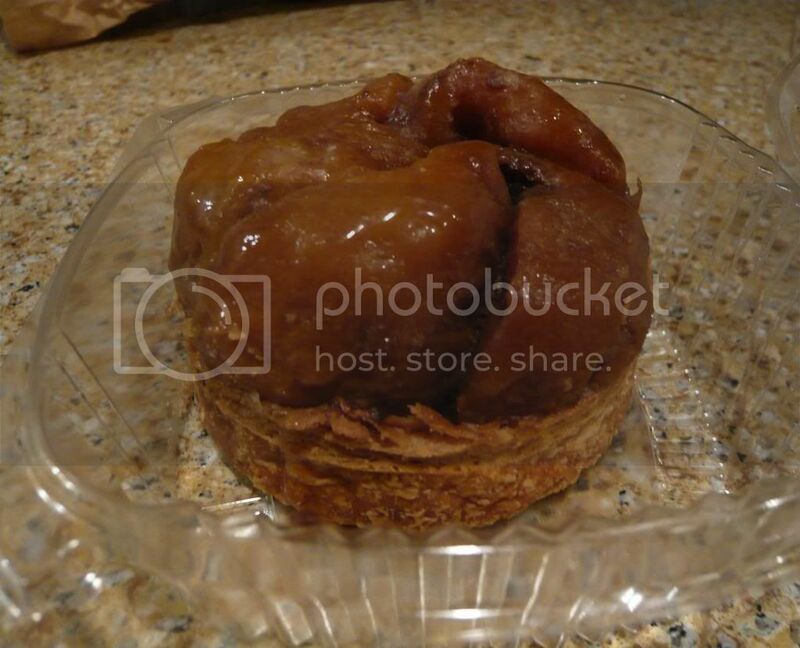 They still have the best apple tart tatin around! Sweet, plump, and juicy caramelized apples. Flakey pastry crust. Loved it. It might be the flakey crust that makes it better than the rest. Or maybe it's the apple to crust ratio.